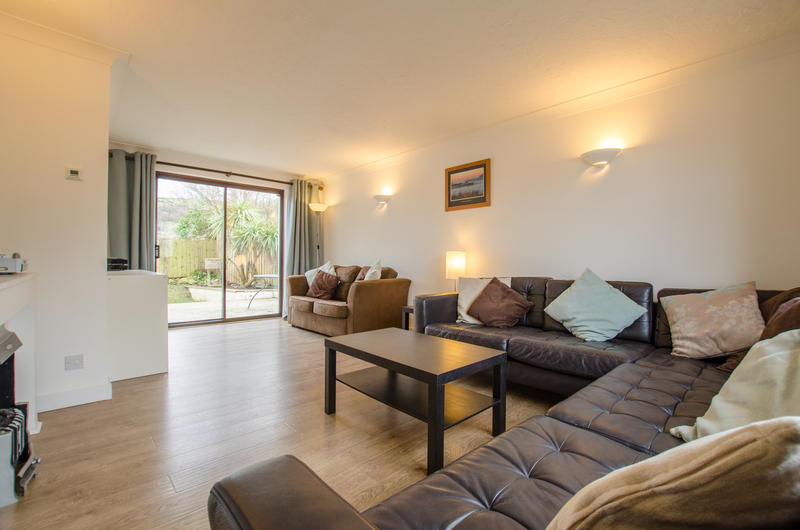 Internally, Rockpool offers a good standard of furnishing throughout, benefits from underfloor heating and is ideally positioned for a short walk to both Croyde Beach and to the thriving surf based village centre. 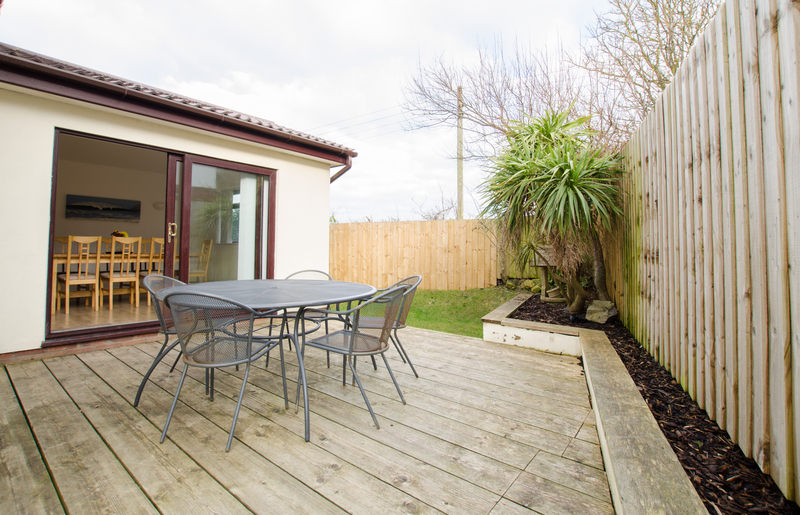 Externally, this property benefits from a terrace decking area to the rear, perfect for relaxing and enjoying a barbecue after a long day exploring the various attractions that North Devon has to offer. Bright and airy lounge with laminate underfloor heating throughout, large chocolate corner sofa and wooden coffee table with views out onto the front garden. 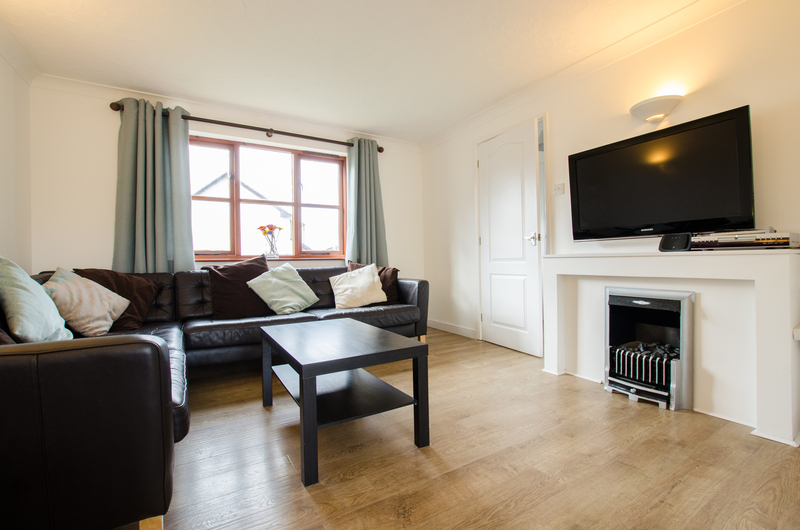 Up lighters, coal effect gas fire, wall mounted flat screen TV with DVD player, CD music system . French doors onto the rear garden's decking a separate sofa bed that can accommodate 2 guests. 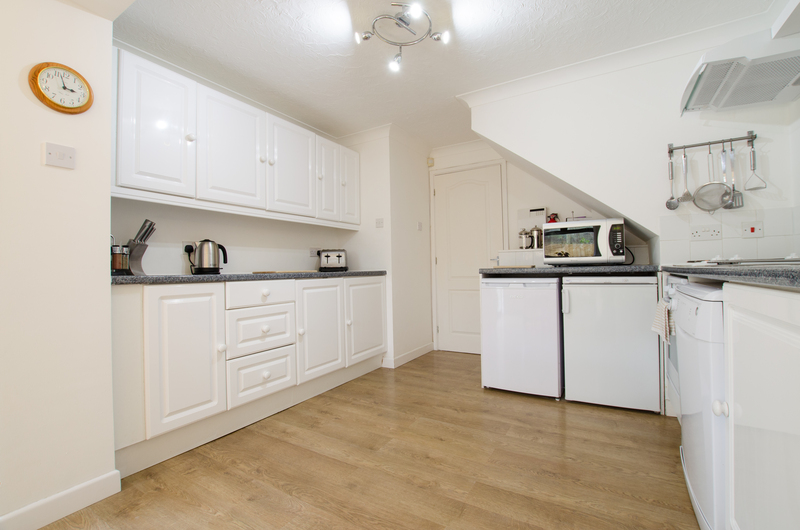 The kitchen has clean, crisp white painted wooden units and a blue speckled surface with laminate flooring. A hob, electric oven, dishwasher, fridge and separate freezer, microwave oven, toaster, kettle as well as all the other essential kitchen utensils you would require. 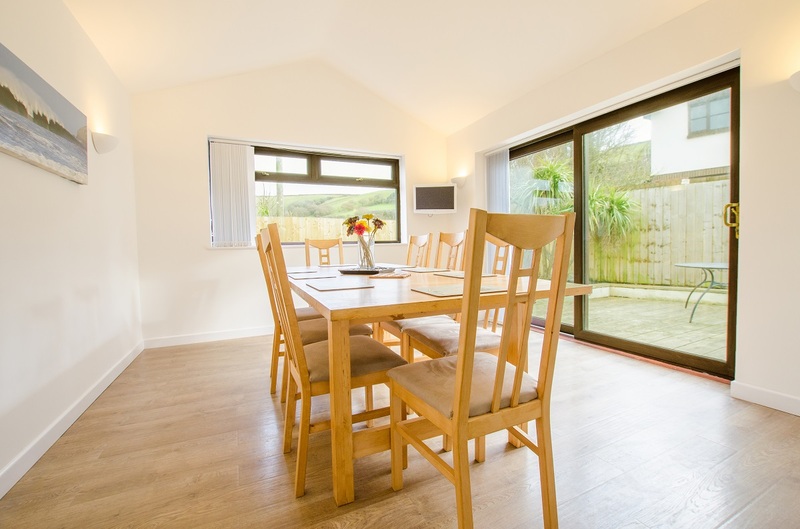 Dining area features a large wooden extending dining table with seating for 8, a wall mounted LCD TV/DVD player, enjoying views through the large French doors out onto the rear decking. 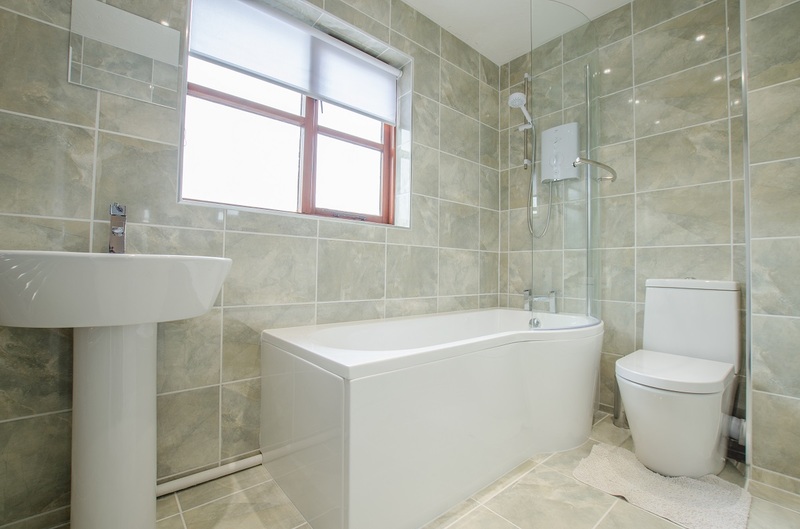 Downstairs bathroom with a W.C and washbasin. Hallway cupboard with washing machine and tumble dryer. 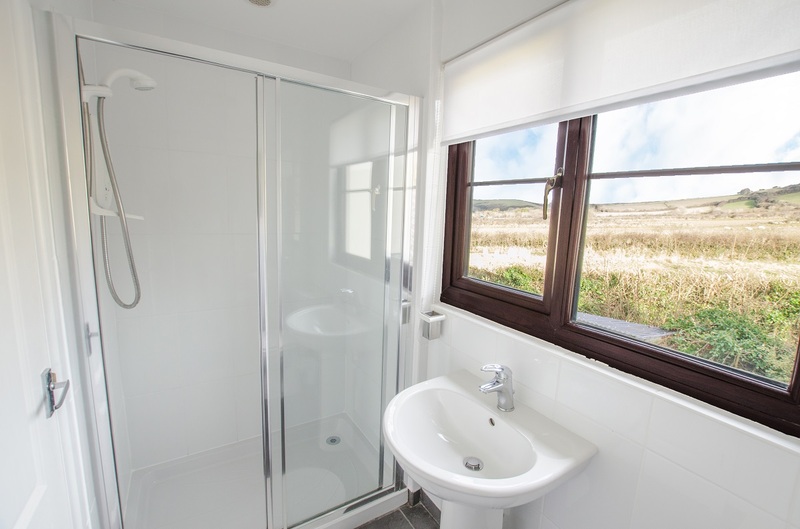 Master bedroom- Double bed, views of the countryside towards Croyde beach, white glossed bedside tables, canvas style wardrobe and an en-suite modern shower room with W.C, Double walk in shower and washbasin. 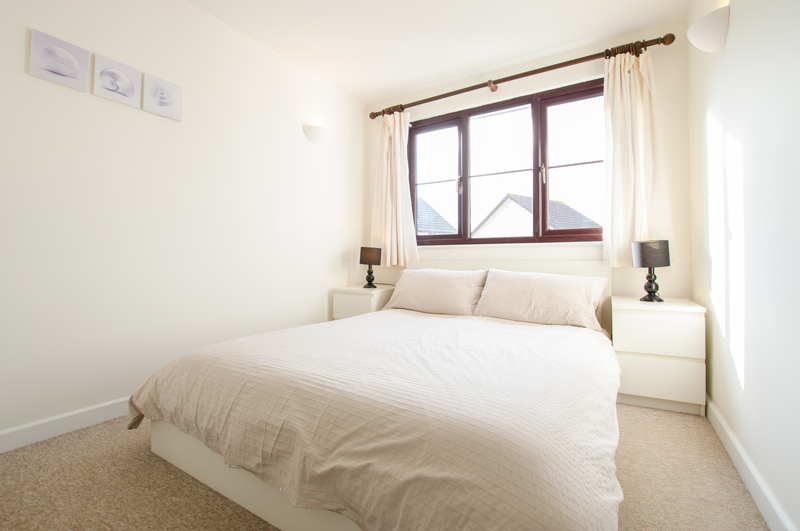 Bedroom two - Double bed, bedside tables, a dressing table with stool, wardrobe space and full length mirror. 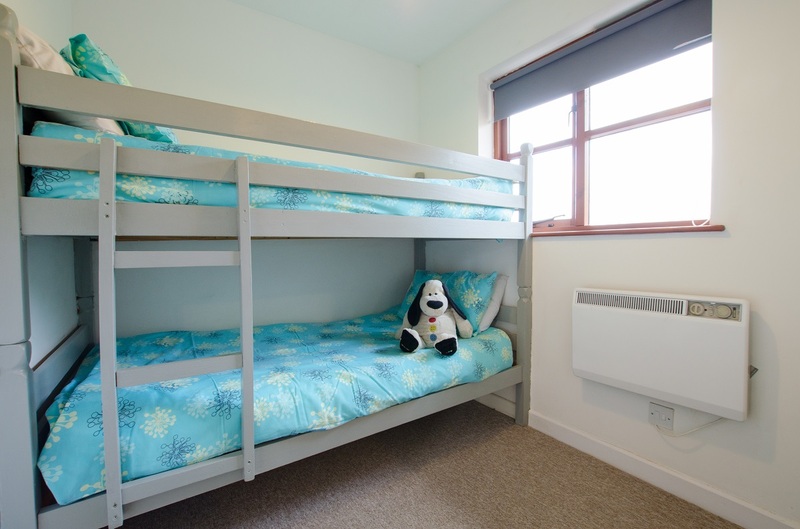 Bedroom three - Bunk bed and wardrobe. 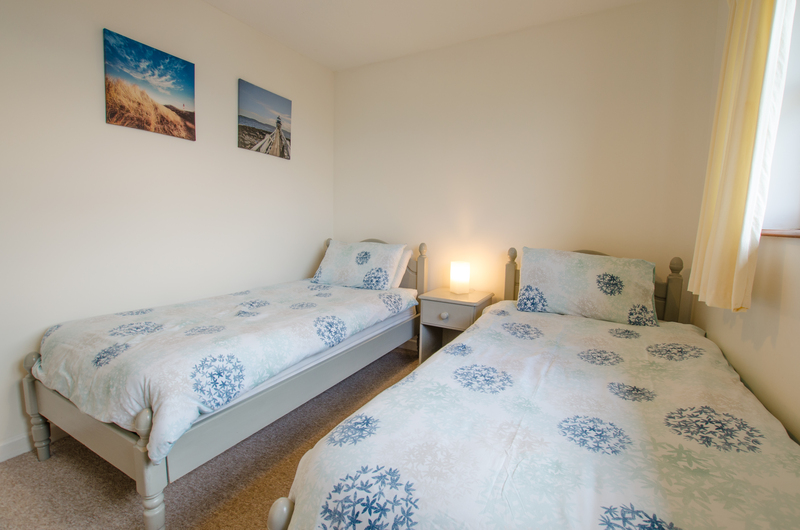 Bedroom four - Twin beds with sea glimpse's of Croyde, green chic bedside table and wardrobe. 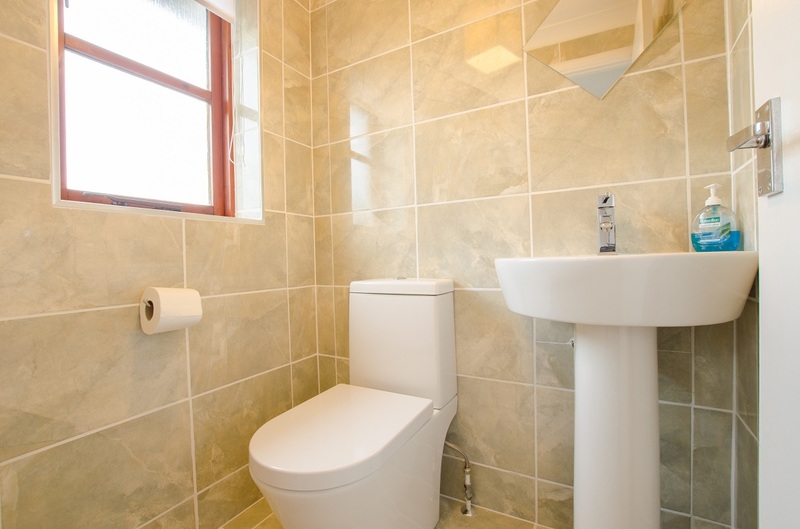 The family bathroom comprises of a bath with shower over, pedestal washbasin and W.C.
Garden furniture and BBQ is provided for al fresco dining. 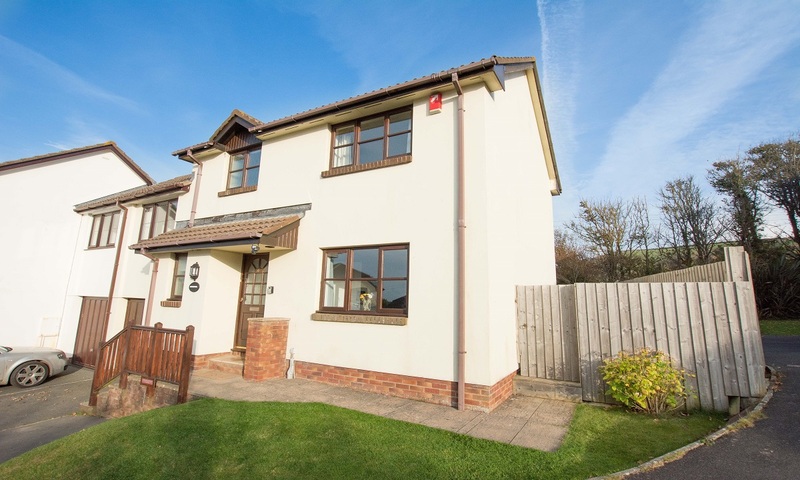 Fully enclosed rear garden which is partly laid to lawn, there is a small rear terrace patio and a garage which is accessible via the front and rear with plenty of secure storage for surfboards, wetsuits or bikes. 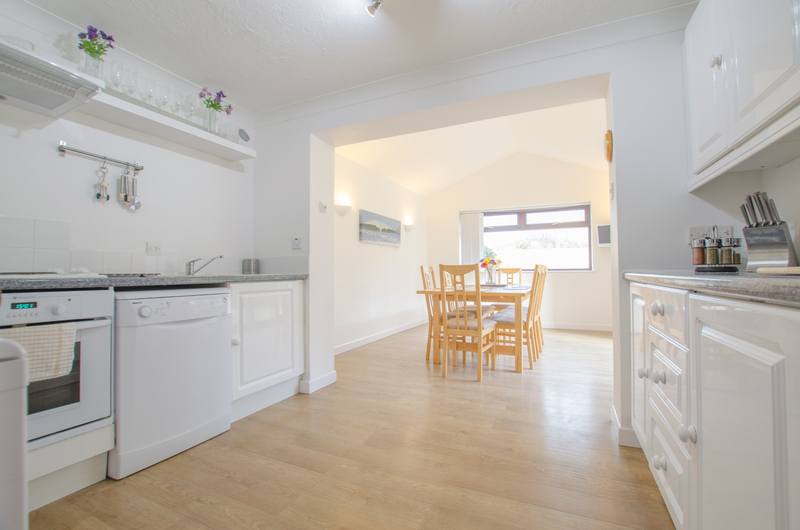 A clean, comfortable and safe holiday cottage close to the beach and all other amenities. 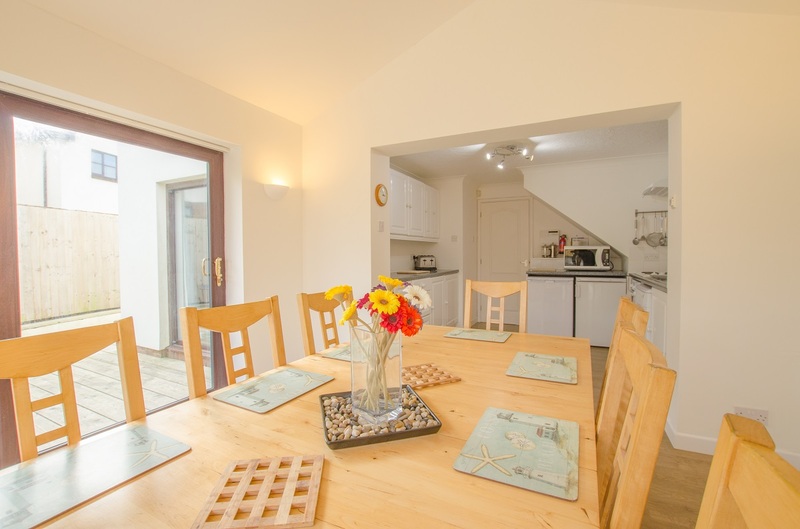 Well fitted out and big enough for our party of 7 without feeling enclosed. Would recommend and would stay again. 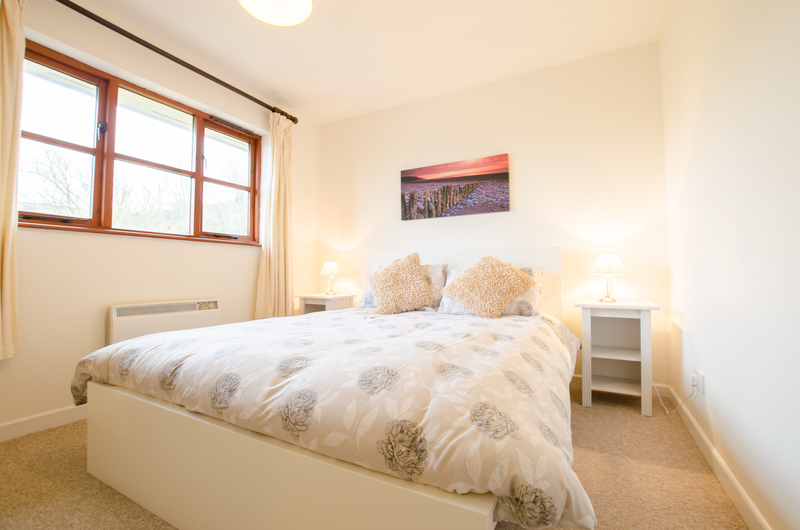 Tripadvisor 4 STAR Review - " Relaxing Stay"